Make the best out of your vacation by basking under the tropical sun! Cool your body by taking dips in the glistening waters of the swimming pool, and lay back against a comfy sun bed. 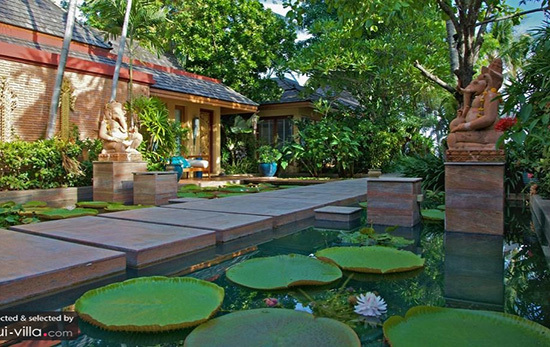 Resist the temptation of lounging by the pool all day, for a good number of Samui’s villas boasts a pretty and picturesque garden. 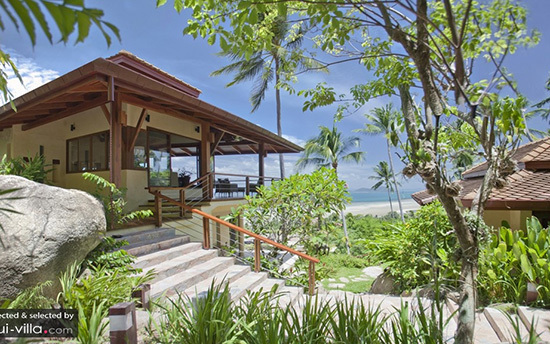 Your tropical vacation starts off beautifully with a stay at Ama Lur Villa. Step into the compounds of this gorgeous vacation rental, and you will be wowed by the sight of its well landscaped garden. Lush and expansive, the grounds contain stylish outdoor ornaments, a sparkling pool, charming walkways and stunning water features. There are plenty of lovely spots within the spacious garden for al fresco dining and lazing about, making Ama Lur Villa the perfect abode for throwing a grand party. 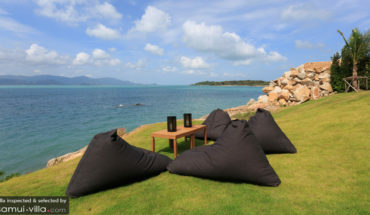 Guests will not be able to resist the charms of lounging about outdoors during their stay at Baan Samlarn. 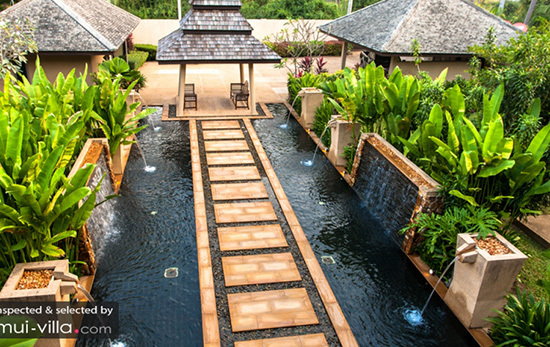 Modern and luxurious, the villa boasts a well-manicured garden that is as pretty as a painting. It will be a shame not to make the best of your tropical vacation by basking under the sun all day. 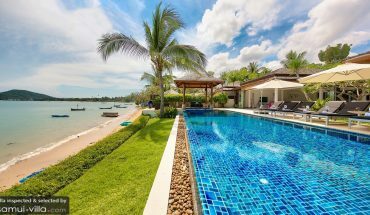 You will be spoilt for choice at Baan Samlarn, as you can take your pick from settling down on the plush couches in the outdoor pavilion, lying back against the sun beds lining the pool or tucking into a fine meal while feasting on scenic sights of the coast. 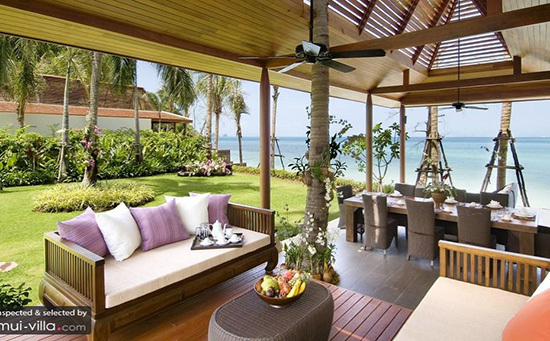 A stay at Baan Silavaree promises to be a feast for the eyes. Step out towards the swimming pool and sun deck, and you will catch sight of sweeping vistas of Bang Kao’s alluring coastline. Enjoy breathtaking sights of the sunrise, take a dip in the refreshing waters of the pool or bathe under the sun while lounging leisurely against a sun bed. When it is time for a break, make your way to the pretty tropical garden of the villa for a quiet afternoon of tea and pastries. There is plenty to see and do in the vicinity of Villa Tassana Pra. 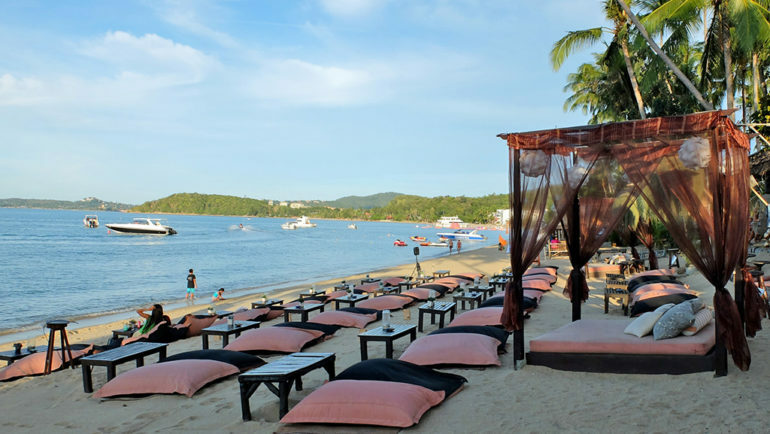 Nature lovers may venture outdoors for lengthy treks, and water sports enthusiasts will enjoy getting wet and wild along the coasts of Bo Phut. However, what if you are in a lazy holiday mood, and do not wish to venture out from the comforts of your villa? Guests in a state of dreamy languor will enjoy spending a leisurely day in the cosy compounds of Villa Tassana Pra. The ornate furnishings in the villa provides a luxe and welcoming environment for vacation makers to relax in. After a rejuvenating nap in the afternoon, give your legs a good stretch by taking a stroll amidst the scenic tropical garden. Holidays start off on a perfect note at Villa Upni Duniya. Guests are welcomed with cool, scented towels, sweet coconut juice and a cheerful flower garland upon entering the villa. Days at this beautiful vacation abode are well-spent basking out under the bright tropical sun – take laps in the splendid infinity pool, or chill out with a cocktail on the pool deck. 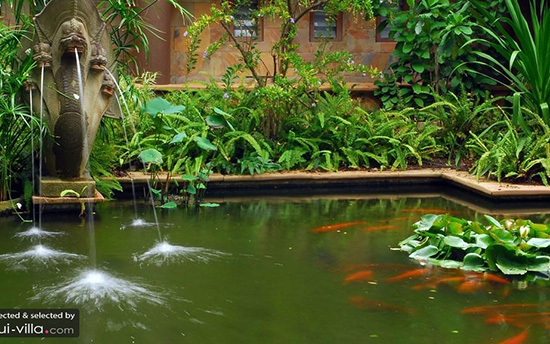 Make time to explore the enticing gardens of the villa, for it is tastefully decorated with attractive water features and fine ornaments.